Lily Street photograph taken from the junction of Springfield Road looking north west. 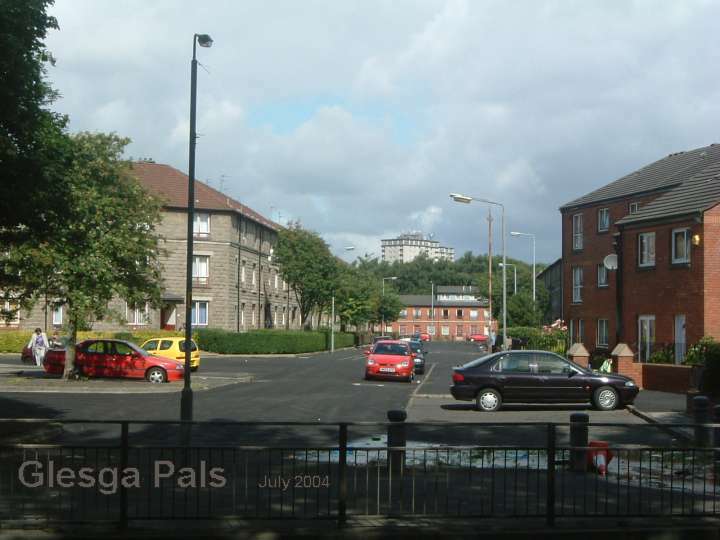 as ever in the background the ever present Ruby Street high rise flats! Apr.2007, Helen F Martin (nee Pritchard), New York, USA. 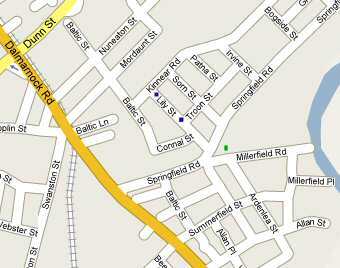 Hello Webmaister: ...... lovely pages you have of Lily Street. 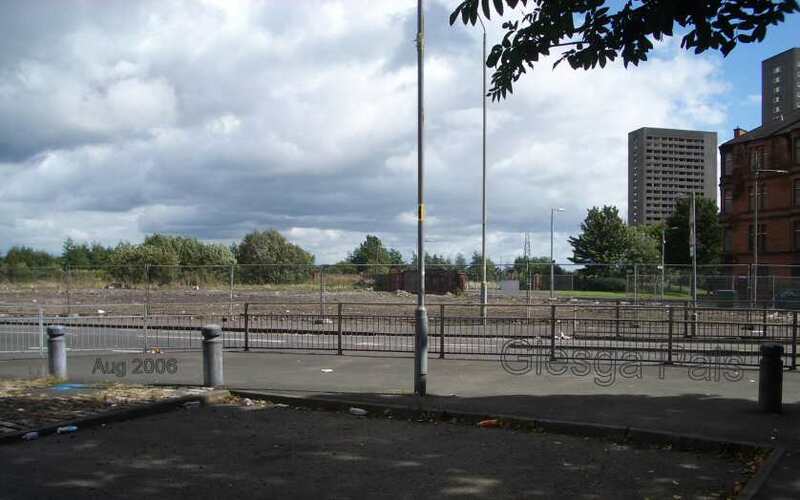 The picture taken from Springfield Road, is all new to me, and not the way I remember it. In my mind's eye, I can still see Springfield school, and the church around the corner next to it and Craig's dairy across the street. 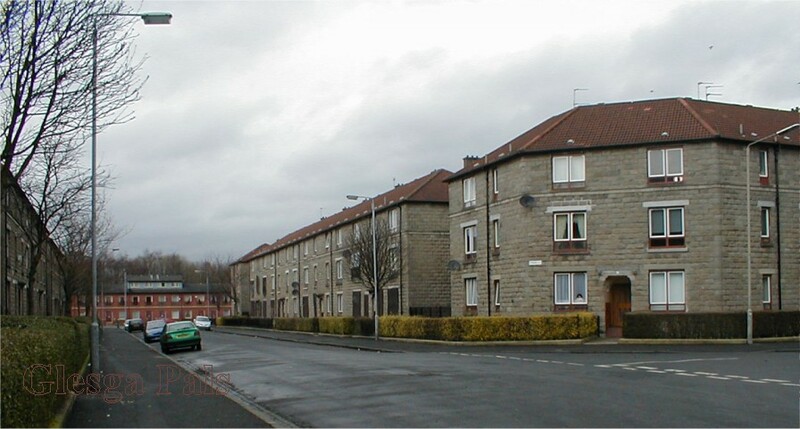 All the new houses look great, even the view down to Kinnear Road, where the railway and the stables used to be. 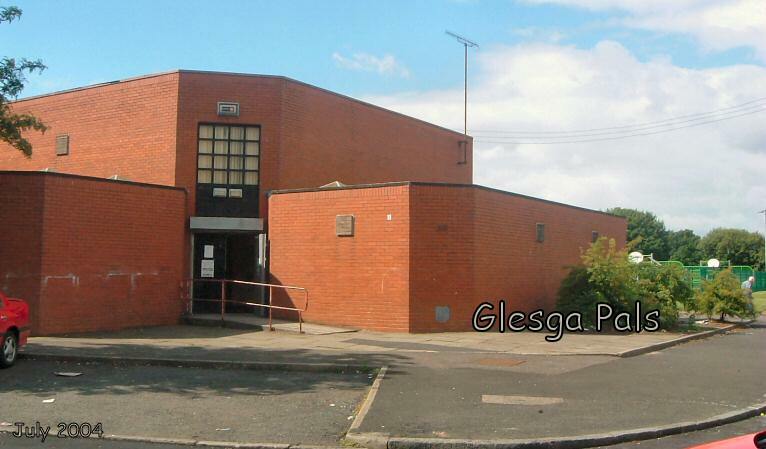 Dalmarnock Community Centre, 3 Lily Street.